A more polished version of this article appeared on Nautilus on 2019 February 28. This version has some more material. In my 50s, too old to become a real expert, I have finally fallen in love with algebraic geometry. As the name suggests, this is the study of geometry using algebra. Aroun 1637, Pierre Fermat and Rene Descartes laid the groundwork for this subject by taking a plane, mentally drawing a grid on it as we now do with graph paper, and calling the coordinates and . We can the write down an equation like , and there will be a curve consisting of points whose coordinates obey this equation. In this example, we get a circle! It was a revolutionary idea at the time, because it lets us systematically convert questions about geometry into questions about equations, which we can solve if we’re good enough at algebra. Some mathematicians spend their whole lives on this majestic subject. But I never really liked it much—until recently. Now I’ve connected it to my interest in quantum physics. We can describe many interesting curves with just polynomials. For example, roll a circle inside a circle three times as big. You get a curve with three sharp corners called a “deltoid”, shown in red above. It’s not obvious that you can describe this using a polynomial equation, but you can. The great mathematician Leonhard Euler dreamt this up in 1745. As a kid I liked physics better than math. My uncle Albert Baez, father of the famous folk singer Joan Baez, worked for UNESCO, helping developing countries with physics education. My parents lived in Washington D.C.. Whenever my uncle came to town, he’d open his suitcase, pull out things like magnets or holograms, and use them to explain physics to me. This was fascinating. When I was eight, he gave me a copy of the college physics textbook he wrote. While I couldn’t understand it, I knew right away that I wanted to. I decided to become a physicist. My parents were a bit worried, because they knew physicists needed mathematics, and I didn’t seem very good at that. I found long division insufferably boring, and refused to do my math homework, with its endless repetitive drills. But later, when I realized that by fiddling around with equations I could learn about the universe, I was hooked. The mysterious symbols seemed like magic spells. And in a way, they are. Science is the magic that actually works. Despite Wigner’s quasi-religious language, I didn’t think that God was an explanation. As far as I can tell, that hypothesis raises more questions than it answers. I studied mathematical logic and tried to prove that any universe containing a being like us, able to understand the laws of that universe, must have some special properties. I failed utterly, though I managed to get my first publishable paper out of the wreckage. I decided that there must be some deep mystery here, that we might someday understand, but only after we understood what the laws of physics actually are: not the pretty good approximate laws we know now, but the actual correct laws. As a youthful optimist I felt sure such laws must exist, and that we could know them. And then, surely, these laws would give a clue to the deeper puzzle: why the universe is governed by mathematical laws in the first place. So I went to graduate school—to a math department, but motivated by physics. I already knew that there was too much mathematics to ever learn it all, so I tried to focus on what mattered to me. And one thing that did not matter to me, I believed, was algebraic geometry. How could any mathematician not fall in love with algebraic geometry? Here’s why. In its classic form, this subject considers only polynomial equations—equations that describe not just curves, but also higher-dimensional shapes called “varieties.” So is fine, and so is , but an equation with sines or cosines, or other functions, is out of bounds—unless we can figure out how to convert it into an equation with just polynomials. As a graduate student, this seemed like a terrible limitation. After all, physics problems involve plenty of functions that aren’t polynomials. This is Cayley’s nodal cubic surface. 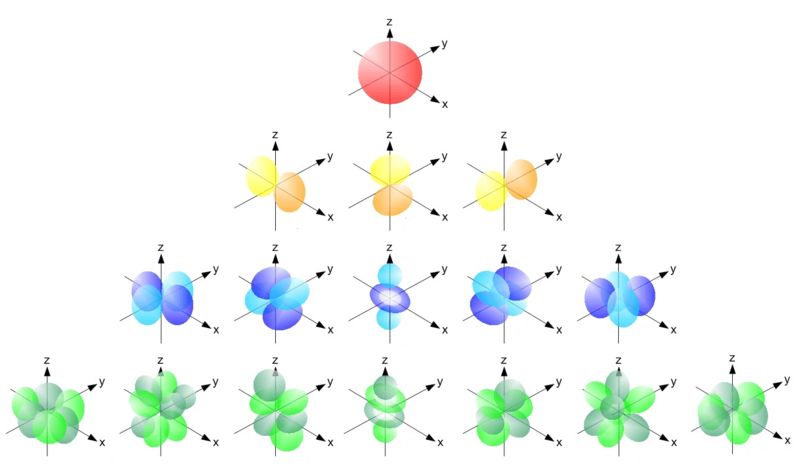 It’s famous because it is the variety with the most nodes (those pointy things) that is described by a cubic equation. The equation is , and it’s called “cubic” because we’re multiplying at most three variables at once. 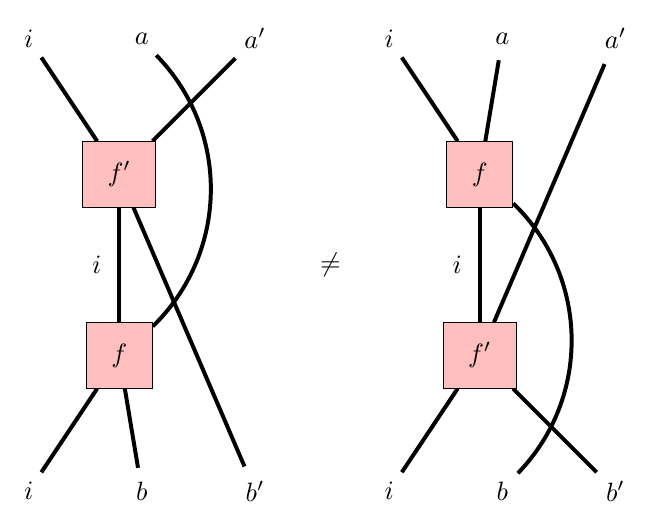 Why does algebraic geometry restrict itself to polynomials? Mathematicians study curves described by all sorts of equations – but sines, cosines and other fancy functions are only a distraction from the fundamental mysteries of the relation between geometry and algebra. Thus, by restricting the breadth of their investigations, algebraic geometers can dig deeper. They’ve been working away for centuries, and by now their mastery of polynomial equations is truly staggering. Algebraic geometry has become a powerful tool in number theory, cryptography and other subjects. The first chapter, titled “Varieties,” deals with the classical algebraic geometry of varieties over algebraically closed fields. This chapter uses many classical results in commutative algebra, including Hilbert’s Nullstellensatz, with the books by Atiyah–Macdonald, Matsumura, and Zariski–Samuel as usual references. If you can’t make heads or tails of this… well, that’s exactly my point. To penetrate even the first chapter of Hartshorne, you need quite a bit of background. To read Hartshorne is to try to catch up with centuries of geniuses running as fast as they could. One of these geniuses was Hartshorne’s thesis advisor, Alexander Grothendieck. From about 1960 to 1970, Grothendieck revolutionized algebraic geometry as part of an epic quest to prove some conjectures about number theory, the Weil Conjectures. He had the idea that these could be translated into questions about geometry and settled that way. But making this idea precise required a huge amount of work. To carry it out, he started a seminar. He gave talks almost every day, and enlisted the help of some of the best mathematicians in Paris. Working nonstop for a decade, they produced tens of thousands of pages of new mathematics, packed with mind-blowing concepts. In the end, using these ideas, Grothendieck succeeded in proving all the Weil Conjectures except the final, most challenging one—a close relative of the famous Riemann Hypothesis, for which a million dollar prize still waits. Towards the end of this period, Grothendieck also became increasingly involved in radical politics and environmentalism. In 1970, when he learned that his research institute was partly funded by the military, he resigned. He left Paris and moved to teach in the south of France. Two years later a student of his proved the last of the Weil Conjectures—but in a way that Grothendieck disliked, because it used a “trick” rather than following the grand plan he had in mind. He was probably also jealous that someone else reached the summit before him. 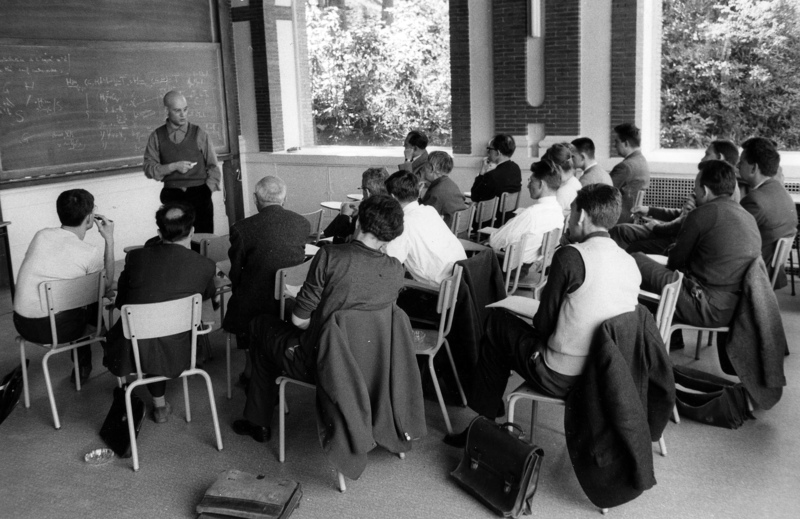 As time went by, Grothendieck became increasingly embittered with academia. And in 1991, he disappeared! We now know that he moved to the Pyrenees, where he lived until his death in 2014. He seems to have largely lost interest in mathematics and turned his attention to spiritual matters. Some reports make him seem quite unhinged. It is hard to say. At least 20,000 pages of his writings remain unpublished. During his most productive years, even though he dominated the French school of algebraic geometry, many mathematicians considered Grothendieck’s ideas “too abstract.” This sounds a bit strange, given how abstract all mathematics is. What’s inarguably true is that it takes time and work to absorb his ideas. As grad student I steered clear of them, since I was busy struggling to learn physics. There, too, centuries of geniuses have been working full-speed, and anyone wanting to reach the cutting edge has a lot of catching up to do. But, later in my career, my research led me to Grothendieck’s work. If I had taken a different path, I might have come to grips with his work through string theory. String theorists postulate that besides the visible dimensions of space and time—three of space and one of time—there are extra dimensions of space curled up too small to see. In some of their theories these extra dimensions form a variety. So, string theorists easily get pulled into sophisticated questions about algebraic geometry. And this, in turn, pulls them toward Grothendieck. A slice of one particular variety, called a “quintic threefold,” that can be used to describe the extra curled-up dimensions of space in string theory. Indeed, some of the best advertisements for string theory are not successful predictions of experimental results—it’s made absolutely none of these—but rather, its ability to solve problems within pure mathematics, including algebraic geometry. For example, suppose you have a typical quintic threefold: a 3-dimensional variety described by a polynomial equation of degree 5. How many curves can you draw on it that are described by polynomials of degree 4? I’m sure this question has occurred to you. So, you’ll be pleased to know that answer is exactly 317,206,375. 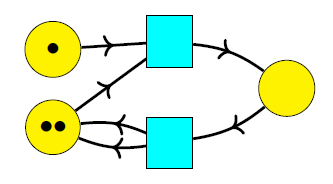 This sort of puzzle is quite hard, but string theorists have figured out a systematic way to solve many puzzles of this sort, including much harder ones. Thus, we now see string theorists talking with algebraic geometers, each able to surprise the other with their insights. My own interest in Grothendieck’s work had a different source. I’ve always had serious doubts about string theory, and counting curves on varieties is the last thing I’d ever try. Like rock climbing, it’s exciting to watch but too scary to actually attempt myself. But it turns out that Grothendieck’s ideas are so general and powerful that they spill out beyond algebraic geometry into many other subjects. In particular, his 600-page unpublished manuscript Pursuing Stacks, written in 1983, made a big impression on me. In it, he argues that topology—very loosely, the theory of what space can be shaped like, if we don’t care about bending or stretching it, just what kind of holes it has—can be completely reduced to algebra! 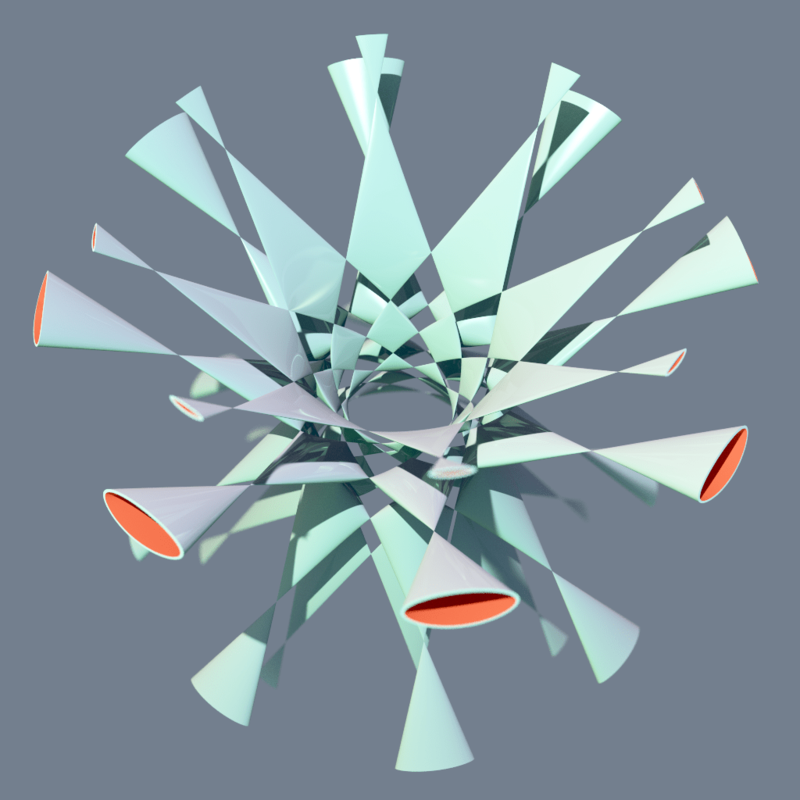 At first this idea may sound just like algebraic geometry, where we use algebra to describe geometrical shapes, like curves or higher-dimensional varieties. 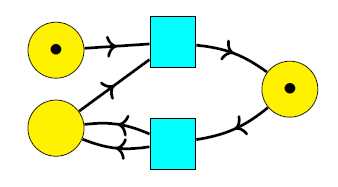 But “algebraic topology” winds up having a very different flavor, because in topology we don’t restrict our shapes to be described by polynomial equations. 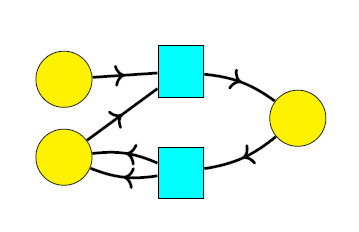 Instead of dealing with beautiful gems, we’re dealing with floppy, flexible blobs—so the kind of algebra we need is different. Mathematicians sometimes joke that a topologist cannot tell the difference between a doughnut and a coffee cup. 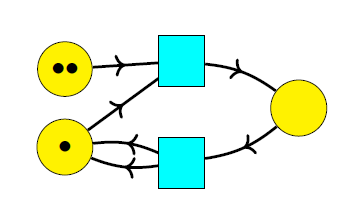 Algebraic topology is a beautiful subject that has been around long before Grothendieck—but he was one of the first to seriously propose a method to reduce all topology to algebra. Thanks to my work on physics, his proposal was tremendously exciting when I came across it. At the time I had taken up the challenge of trying to unify our two best theories of physics: quantum physics, which describes all the forces except gravity, and general relativity, which describes gravity. It seems that until we do this, our understanding of the fundamental laws of physics is doomed to be incomplete. But it’s devilishly difficult. 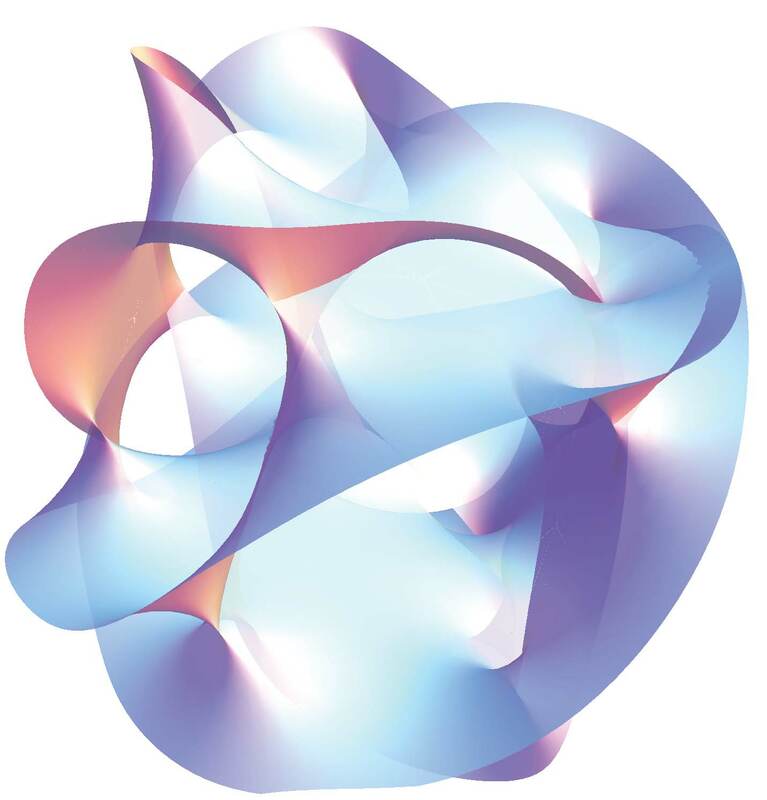 One reason is that quantum physics is based on algebra, while general relativity involves a lot of topology. But that suggests an avenue of attack: if we can figure out how to express topology in terms of algebra, we might find a better language to formulate a theory of quantum gravity. My physics colleagues will let out a howl here, and complain that I am oversimplifying. Yes, I’m oversimplifying. There is more to quantum physics than mere algebra, and more to general relativity than mere topology. Nonetheless, the possible benefits to physics of reducing topology to algebra are what got me so excited about Grothendieck’s work. So, starting in the 1990s, I tried to understand the powerful abstract concepts that Grothendieck had invented—and by now I have partially succeeded. Some mathematicians find these concepts to be the hard part of algebraic geometry. They now seem like the easy part to me. The hard part, for me is the nitty-gritty details. First, there is all the material in those texts that Hartshorne takes as prerequisites: “the books by Atiyah–Macdonald, Matsumura, and Zariski–Samuel.” But there is also a lot more. So, while I now have some of what it takes to read Hartshorne, until recently I was too intimidated to learn it. A student of physics once asked a famous expert how much mathematics a physicist needs to know. The expert replied: “More.” Indeed, the job of learning mathematics is never done, so I focus on the things that seem most important and/or fun. Until last year, algebraic geometry never rose to the top of the list. What changed? 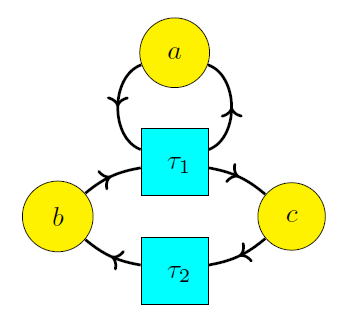 I realized that algebraic geometry is connected to the relation between classical and quantum physics. Classical physics is the physics of Newton, where we imagine that we can measure everything with complete precision, at least in principle. Quantum physics is the physics of Schrödinger and Heisenberg, governed by the uncertainty principle: if we measure some aspects of a physical system with complete precision, others must remain undetermined. For example, any spinning object has an “angular momentum”. In classical mechanics we visualize this as an arrow pointing along the axis of rotation, whose length is proportional to how fast the object is spinning. And in classical mechanics, we assume we can measure this arrow precisely. In quantum mechanics—a more accurate description of reality—this turns out not to be true. For example, if we know how far this arrow points in the direction, we cannot know how far it points in the direction. This uncertainty is too small to be noticeable for a spinning basketball, but for an electron it is important: physicists had only a rough understanding of electrons until they took this into account. Physicists often want to “quantize” classical physics problems. That is, they start with the classical description of some physical system, and they want to figure out the quantum description. There is no fully general and completely systematic procedure for doing this. This should not be surprising: the two worldviews are so different. However, there are useful recipes for quantization. The most systematic ones apply to a very limited selection of physics problems. For example, sometimes in classical physics we can describe a system by a point in a variety. This is not something one generally expects, but it happens in plenty of important cases. 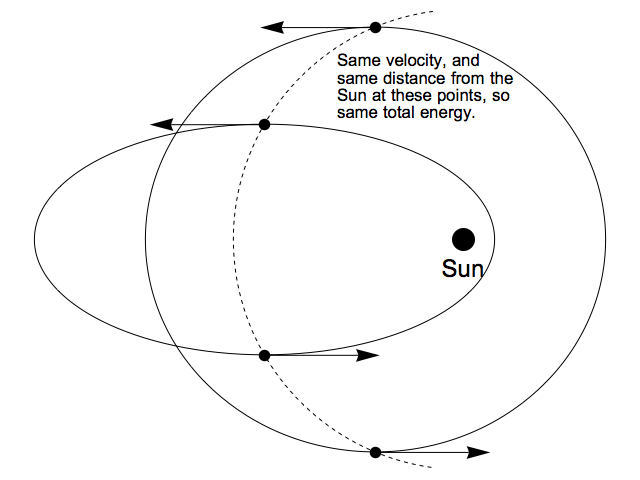 For example, consider a spinning object: if we fix how long its angular momentum arrow is, the arrow can still point in any direction, so its tip must lie on a sphere. Thus, we can describe a spinning object by a point on a sphere. And this sphere is actually a variety, the “Riemann sphere”, named after Bernhard Riemann, one of the greatest algebraic geometers of the 1800s. When a classical physics problem is described by a variety, some magic happens. The process of quantization becomes completely systematic—and surprisingly simple. There is even a kind of reverse process, which one might call “classicization,” that lets you turn the quantum description back into a classical description. The classical and quantum approaches to physics become tightly linked, and one can take ideas from either approach and see what they say about the other one. For example, each point on the variety describes not only a state of the classical system (in our example, a definite direction for the angular momentum), but also a state of the corresponding quantum system—even though the latter is governed by the uncertainty principle. The quantum state is the “best quantum approximation” to the classical state. I have to think that I have some kind of inside track on this problem. That is, I have some sort of talent that the other guys aren’t using, or some way of looking, and they are being foolish not to notice this wonderful way to look at it. I have to think I have a little better chance than the other guys, for some reason. I know in my heart that it is likely that the reason is false, and likely the particular attitude I’m taking with it was thought of by others. I don’t care; I fool myself into thinking I have an extra chance. This may be what I’d been missing on algebraic geometry until now. Algebraic geometry is not just a problem to be solved, it’s a body of knowledge—but it’s such a large, intimidating body of knowledge that I didn’t dare tackle it until I got an inside track. Now I can read Hartshorne, translate some of the results into facts about physics, and feel I have a chance at understanding this stuff. And it’s a great feeling. 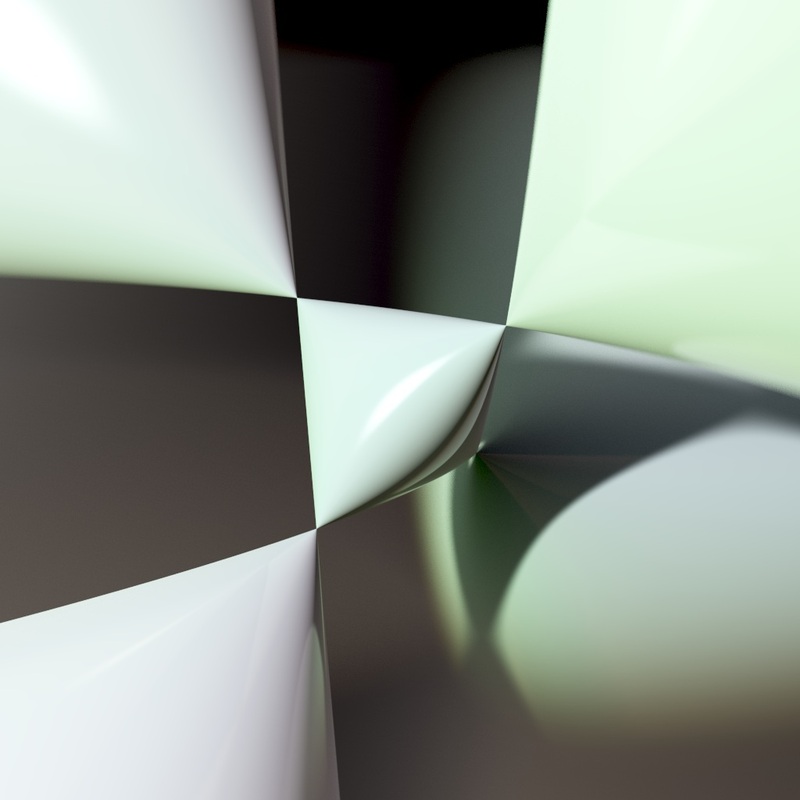 For the details of how algebraic geometry connects classical and quantum mechanics, see my talk slides and series of blog articles.